Christophe Viarnaud, founder of AfricArena. Start-up tech conference AfricArena will host its second edition from 15 to 16 November at the Century City Conference Centre in Cape Town, with more than 100 investors expected to attend. AfricArena provides start-ups with high-exposure opportunities to showcase their businesses to investors, it says. As a prelude to the conference, AfricArena will tour six cities in Africa to source the best local tech start-up talent. The AfricArena team will hold pitch events in Mauritius (2 May), Reunion Island (3 May), Nairobi (13 June), Casablanca (4 July), Lagos (18 July) and Dakar (19 September). A 'pitch battle' will be held in each country: giving each start-up the opportunity to present their product or idea within three minutes, says AfricArena. One challenge winner per city will be pre-selected and invited to attend the AfricArena 2018 Conference. 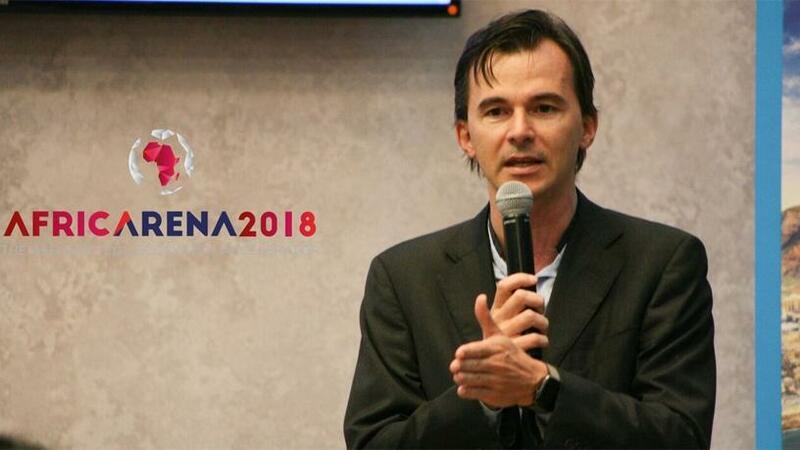 "On the back of a highly successful first edition of AfricArena with over $2 million in deal impact and much more in commitments, we have decided to double down on our investment and exponentially increase our impact, says Christophe Viarnaud, founder of AfricArena and CEO of digital firm Methys. "This year, we will be expanding our pan-African footprint to find the best start-ups on the continent. We will also be taking some of the winners of the AfricArena 2017 challenges on an investor roadshow in Paris and New York." The key themes for this year's conference are: smart city, smart agri, smart commerce, smart skills, smart media and smart travel, says AfricaArena. Three finalists will be selected per challenge to pitch at the two-day conference, it adds. Tech-enabled start-ups from Africa are uniquely positioned to find solutions for some of the critical social and environmental challenges facing the world, says Kerry Petrie, general manager of Silicon Cape. "Investors are looking here for ideas and products that will have an impact globally. "AfricArena creates an amazing opportunity for entrepreneurs from across the continent to showcase the best we have to offer. Silicon Cape is looking forward to identifying collaborative partnerships from African ecosystems to improve access to market, collective mobilisation and growing a more inclusive and diverse continental community." The aim of AfricArena is to bring investment to Africa, says Silicon Cape, adding the continent needs to attract more international investment. Funding in African tech start-ups surged 51% to reach $195 million in 2017, compared to figures for same period in 2016, says a report from African entrepreneurship news portal, Disrupt Africa. The increase in funding is an indication that investors are starting to understand the African market better, says Roger Bezuidenhout, head of marketing at SNAPnSAVE. "The market is definitely not getting any easier to navigate, I would say investors are getting a better grip on the African market and are better able to see opportunity as well as guide start-ups better. The start-up market is tough and investors want to see things are working and the people in charge or founders, have the attitude and skills to take their money and grow it. We are no longer competing just locally or regionally, we are competing globally and that means we need to keep up and adapt." To participate, click here for more information.